Includes unlimited streaming of enigmatics via the free Bandcamp app, plus high-quality download in MP3, FLAC and more. Observant Records launched in 2008 with the release of enigmatics. The original pressing of the EP was a novice effort, engineered and mastered with cheap plugins by a budding home studio musician with no experience in creating a commercially viable release. And the label optimistically pressed 100 copies of it, most of it still remaining in stock. These copies remained in storage after enigmatics was remixed and remastered in 2013. To commemorate the 10th anniversary of Observant Records, we're taking them out of storage and making them available for dirt cheap. Nothing says "Welcome to your new life" more than a burglary. For web editor Greg Bueno, it was the theft of a MIDI workstation in 1998 that prompted him to replace his aging equipment. Greg had suspected the 8-year-old workstation was holding him back creatively, but he didn't realize just how much till he upgraded. Eager to try out his (then-)new acquisitions, Greg set out to write some new music. He tried to be an Enigma fan, but outside of "MCMXC a.D.", admiration just wouldn't take. The presets of his new workstation reminded Greg a lot of Enigma, and he decided not to let ambivalence get in the way — he would record a tribute to Enigma, or at least to "MCMXC a.D.". So he spent the rest of 1998 crafting a five-song EP that became "enigmatics". At first, Greg wanted the EP to be un-credited with all the tracks untitled. It would just be "enigmatics" with each track notated with a Roman numeral. Unsigned artists sharing music on the Internet was a novel idea in the late 1990s, and an early incarnation of MP3.com was one of the first sites to corral the early adopters. Greg wanted to share "enigmatics", but the site forced him to make song titles and choose an identity. Anonymous 4 was a catchy name already taken by a renowned early music vocal group. Eponymous 4, on the other hand, was available. An economic downturn in 2000 halted Eponymous 4 before more music could be recorded. In 2005, Eponymous 4 re-emerged as full-fledged project. 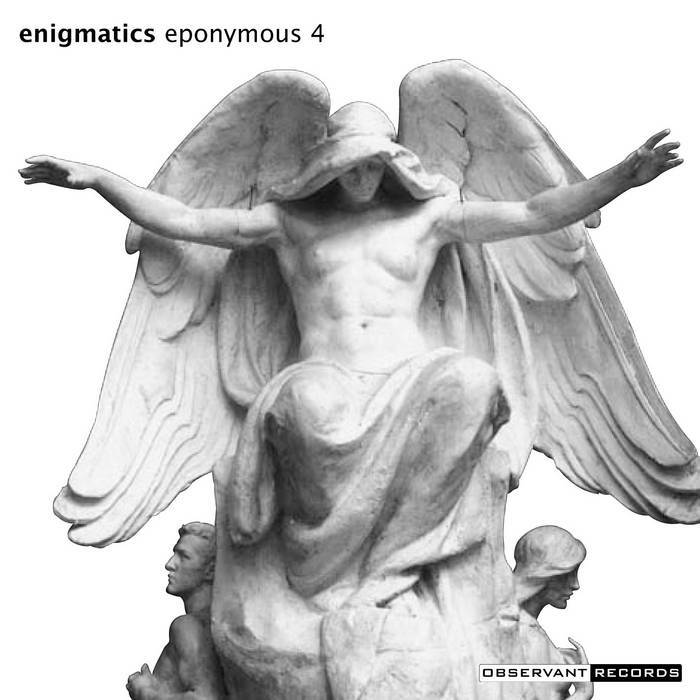 Not only did "enigmatics" spur the creation of Eponymous 4, it also served as the first release for Observant Records. Buoyed by the momentum of working on so much new music, Greg decided to use his check from a government stimulus package in 2008 to release "enigmatics" on CD. That meant actually starting a business and figuring out the steps to get music off his hard drive and onto a packaged disc. And so, Observant Records and Shinkyoku Advocacy, a publishing company, were born. It was a hasty release. The music was barely mixed, let alone mastered. It didn't sell very well, considering no plan was created to market it. (No plan exists now either.) Greg spent the next few years improving his studio techniques to the point where, in 2012, he went back to "enigmatics" and gave it some proper attention. 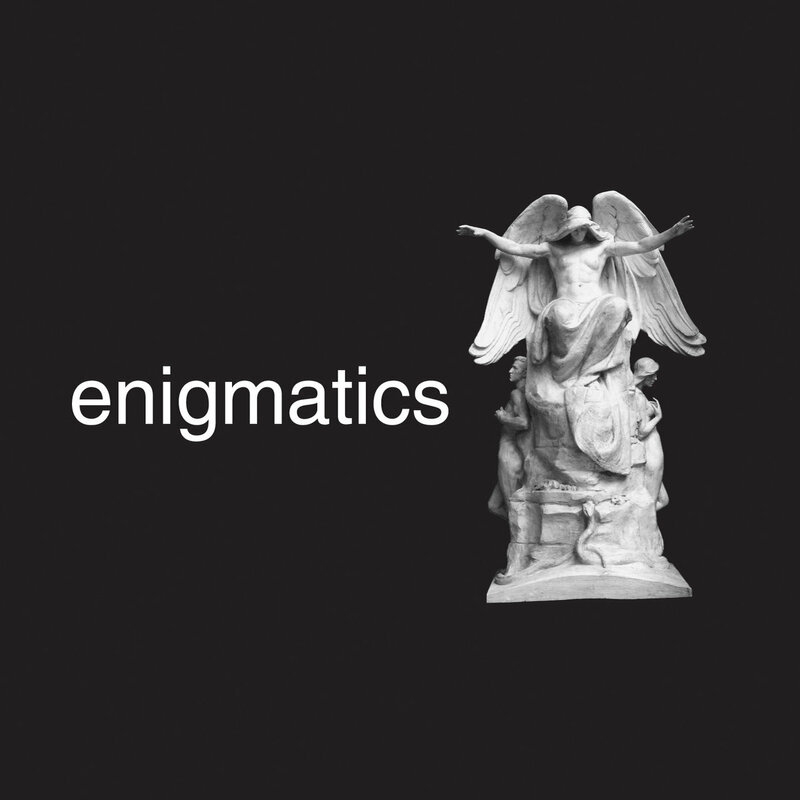 "enigmatics" now serves as Volume 0 in the Ex Machina Series. It's been remixed and remastered, sounding closer to what Greg had in mind when he first started working on the project.